Listen live to your BBC local radio station in, South Yorkshire, West Yorkshire and North Yorkshire. Castleford come from behind to beat St Helens and go four points clear at the top of Super League. 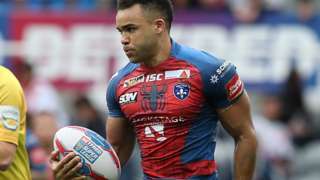 Mason Caton-Brown scores a hat-trick as Wakefield hold off two comebacks from second-placed Salford in a great game. 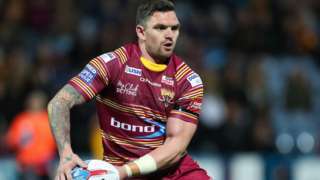 Huddersfield run in eight tries to hammer Warrington and climb above Tony Smith's men in the Super League table. 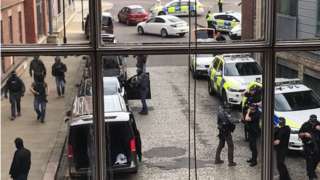 Two properties in Huddersfield and Sheffield were stormed by armed counter-terrorism officers. That's all from us for this week, we'll be back on Monday from 06:30 with all the latest news, sport, weather and travel for Yorkshire. A pub in Leeds has banned smokers from lighting up in the beer garden. The Myrtle Tavern in Meanwood says that children should be allowed to use the outdoor space without having to breath in smoke. Video caption: A pub in Meanwood has banned smoking in the beer garden.A pub in Meanwood has banned smoking in the beer garden. We've got a rather cloudy and muggy night to come. Showery rain will travel northwards with the potential for some heavy and thundery downpours. Lows of 12C (54F). Tomorrow early showers will clear eastwards leaving behind a mainly dry and bright day with the risk of the odd shower but mainly fine with sunny spells. Highs of 19C (66F). 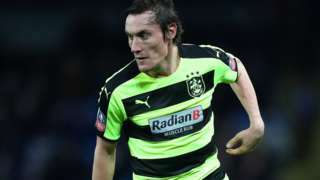 Premier League-bound Huddersfield Town offer a new deal to veteran midfielder Dean Whitehead. A judge has jailed eight people, for their part in a Bradford-based drugs ring which operated “as a criminal business” in another West Yorkshire town. It's national fish and chip day, did you know that? So what better way to celebrate than with a this clip from BBC Look North from 1992. Harry Ramsden's opened a restaurant in Hong Kong, they even shipped haddock out there! M62 West Yorkshire - Very slow traffic and one lane closed on M62 westbound between J27, M621 (Gildersome) and J26, M606 (Chain Bar), because of an accident. A 24-year-old man from Scarborough is starting an eight-year jail sentence today after setting fire to a house and a pub in the town. Nathan Ellery, of no fixed address, was convicted of two arson attacks and a burglary at York Crown Court yesterday. Ellery set fire to cardboard boxes in a store room at the Ivanhoe pub in December 2015.There was serious smoke damage, nobody was injured. He was charged by police, but while on bail set fire to his his bail address in North Marine Road. 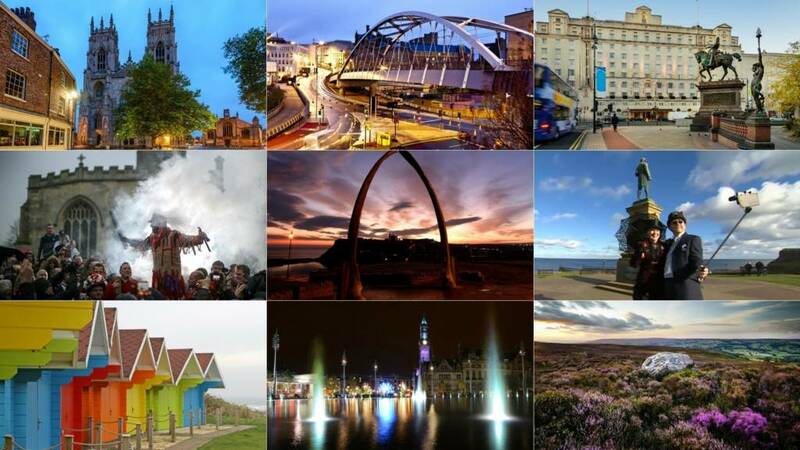 , Scarborough. It’s only down to luck that nobody was seriously injured or killed by his actions. I’m convinced he gave no thought to the peril he was putting people in." Scientists at the University of Sheffield have criticised President Trump for pulling the USA out of the Paris climate change agreement. Yesterday the President announced that he would remove America from the international agreement. Matthew Bilson, Programme Director of the University of Sheffield's Energy 2050 said the decision would create "uncertainty and confusion" for American businesses. While Professor Tony Ryan, Director of the University of Sheffield Grantham Centre for Sustainable Futures, said the university would continue its work with American academics. Police are looking for witnesses after a man was attacked in Rotherham. The 36-year-old was left with facial injuries after being attacked on Midland Road at 00:50 on Sunday. The three men who attacked the victim also stole his phone and cash. Anyone with information is asked to contact South Yorkshire Police on 101. M1 South Yorkshire southbound severe disruption, between J31 for A57 Sheffield and J30 for A616. M1 South Yorkshire - One lane closed and heavy traffic on M1 southbound between J31, A57 (Sheffield) and J30, A616 (Worksop), because of a broken down vehicle. More people than ever before have registered to vote in the general election, in six days time. Bradford Council says the total number of people who have registered to vote in the Bradford district is 350,271. They say that this is the highest number since the Bradford Metropolitan District was created in 1974. According to the council this year has also seen an increase in the number of young people registering. Bradford has a long history of promoting democracy and this is everyone’s chance to take part in this process." The editor of the Barnsley Chronicle is defending his decision to have a Conservative wrap around advert in the paper. The Conservatives have paid for similar adverts in many local newspapers but the decision has been controversial in such a traditionally strong Labour area. But Andrew Harrod, the Barnsley Chronicle's Editor has defended the decision. "Newspapers are fighting for survival; advertisers are looking for more innovative ways to promote themselves. "Some people in Barnsley won’t like this advert, there is a full page advert for the Labour party inside the paper but people don't seem to realise that. "It’s not the first ‘wrap around’ advertisement the Chronicle has featured, and it won’t be the last." M18 South Yorkshire northbound severe accident, between J4 for A630 and J5 for M180. M18 South Yorkshire - Very slow traffic and one lane closed on M18 northbound between J4, A630 (West Moor) and J5, M180 (Stainforth), because of an accident. A Leeds Paralympian has joined more than 16,500 people and signed a letter urging party leaders to put an end to disability benefit cuts. As you can see the accident is now on the hard shoulder, but the effect of the crash is still causing some problems. If you're just setting off, you'll join the back of the queue at J26.